Lisa, Curt, Lauren (Grade 10) and Kirsten (Grade 8) Selhorst joined WISS this school year and dived right into our community! Lisa has been actively involved in the Parent Community Group (PCG), Saturday School and went on the Cambodia trip. Lauren and Kirsten have been involved in Student Council, various sports teams, Performing Arts, Dance, Saturday School, Cambodia…just to name a few! We moved to Shanghai in June 2016 so we have only had one year at WISS. Curt’s work brought us from Findlay, Ohio to Shanghai. Curt and I grew up in a very small town, Columbus Grove, Ohio, (population ~3500), just west of Findlay. We lived in Texarkana, Texas for six years before moving back to Ohio. Curt: born in Ohio, Passport-USA, I still officially consider the USA “Home”, but every time I travel and return to our house in Shanghai, it feels more like home each time. Lauren: born in Texas, Passport – USA, I call USA home, specifically Ohio. 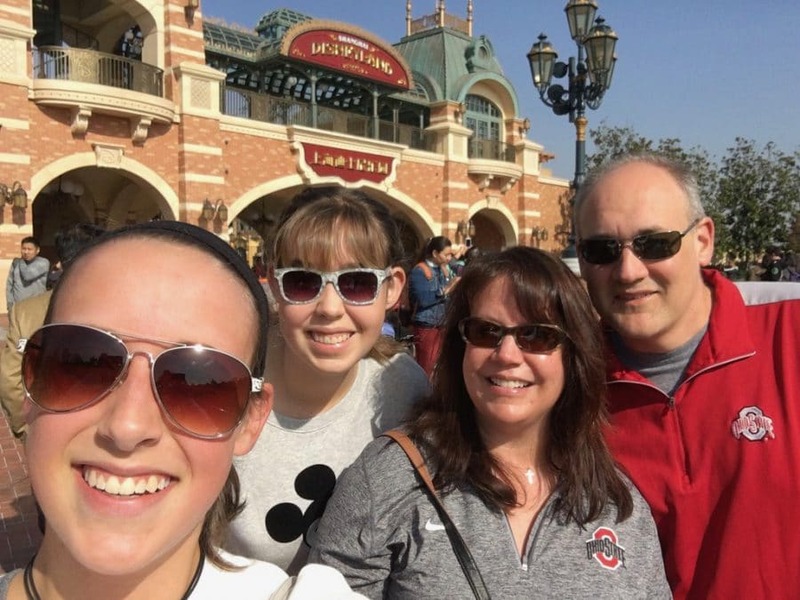 Kirsten: born in Texas, Passport – USA, I call Findlay, Ohio home. We had the opportunity to tour a few international schools in Shanghai but after visiting WISS, there really wasn’t any question as to which school would be the best fit for our girls. The size of the school and the welcoming community feel of WISS during our visit made the decision very easy. Curt: the welcoming atmosphere and the great report the staff and teacher quickly build with the students. That environment was key in helping our daughters get comfortable quickly with their new situation, and feeling like they had a place they belonged right away. Lisa: What I like most about WISS is the wonderful community. I am grateful for the inclusive nature of the school and acceptance/tolerance of the cultural differences. I also am impressed with the level of service to those in need both locally and globally. Lauren: I like the WISS environment and how accepting they are. I also enjoy the variety of service trips offered. WISS is different because of how culturally diverse it is. Kirsten: The thing that I like most about WISS is the staff and students. WISS is unique because of all the amazing opportunities that you don’t get at many other schools like design class and ISTA. Curt: We like to explore different parts of Shanghai together whenever can, or travel in and out of China when we get the chance. When at home we play a lot of cards and games or just watch movies together. We live in Le Chambord and the neighborhood is also great for walks are short bike rides together. Lisa: As a family, we are always willing to try new things and explore new places and Shanghai has provided an enormous playground to investigate. I would have to say my girls are my hobbies at the moment as I enjoy watching them play sports or one of the various musical, dance, and drama performances. The Community Center has also been a great source of entertainment for me through the different cooking classes, crafts and traditional Chinese medicine talks. Lauren: My hobbies include anything with the arts; whether that would be drama, singing or dance. You would always find me doing something with the arts. I like traveling as a family. We create family time in Shanghai by adventuring out to the different places. since we live in Shanghai, we have been able to travel to many new places including Thailand, Australia, Cambodia and Beijing. Kirsten: I enjoy mostly all sports, art, music, dance and drama. I like to do sports in my spare time especially on those days where I just can’t seem to sit still and I love listening to music because it just frees my mind so much and lets me think random thoughts that have no relevance to anything else. I love to play games as a family, also when we go up to the clubhouse to play volleyball, basketball, etc. Please tell us about any special involvement that you have at WISS. Do you volunteer? Are you a part of the parent committee group? Do you support the parent social functions? Why have you chosen to give your time to this project and how do you feel it complements the WISS community? With this our first year living abroad and not knowing anyone at WISS, I tried to involve myself in as many ways as possible at the school in order to get a feel for the environment the girls were in everyday as well as meet new people. I was also accustomed to working a full-time job in the states so I was also trying to find ways to fill all of my newfound free time. I was a part of the parent committee group, which I would recommend to any parent with time to come to the meetings. The WISS parent community group provides a wonderful opportunity to immerse yourself in the variety of cultures present in the school and begin meeting other families. I have also volunteered my time in various other ways at school including stuffing gift bags for the giving tree children, read books to the early years children in the library, baking cookies/brownies for the various bake sales, helping at Saturday School, etc. Volunteering and community service has been a part of our lives and it was normal to continue it here at WISS. The difference here at WISS is the far-reaching opportunities to help with hands-on service trips such as Cambodia. What is your favourite subject at WISS, and why? Lauren: I enjoy drama and math. I enjoy drama because it is a class that was never offered to me. It also allows me to perform more. I like math because it is a subject that I have always enjoyed. 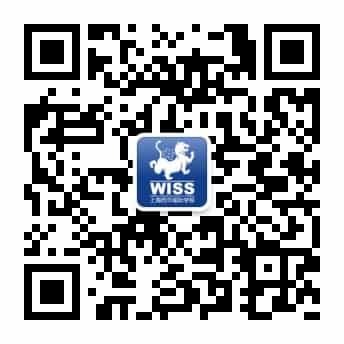 In WISS, it gives me the chance to challenge myself in different ways. Kirsten—My favorite subject is a tie between PE and music. PE because it is just an hour and 20 minutes to run around and be active as opposed to just sitting in a classroom. Music, I love because there are opportunities to learn new instruments, play songs and perform. Plus, Mr. Smart is super chill and fun to have teaching. What do you think of life in Shanghai? Curt: It is exciting and definitely unique. Anyone can find anything that interests them in a city this big. There is a good mix of the local culture and also those comforts of western life. Adjusting to the crowds can be a challenge at first, but once you understand what to expect and know where and when to do what you really enjoy, Shanghai is an amazing city full of many, many experiences. Lisa: The city is beyond enormous and coming from a tiny town it was a huge adjustment. The advantage of the big city is the ability to find nearly anything you want to do and see things you may never see anywhere else. Shanghai life, much like anywhere, is what you make of it. Lauren: Life in Shanghai is completely different from life back in the USA, although, I believe that I have adjusted well coming from a town of 45,000 to a city of 26 million people. Kirsten: Living in Shanghai isn’t as bad as I thought it would be. I still don’t like living in the city at all but there are so many different cool places to visit and explore such as the parks, the bund, and shopping centers. Curt: Obviously, it has provided a perspective and new respect for different cultures, not only for those from China, but also from experiences with other expats from all over the world. 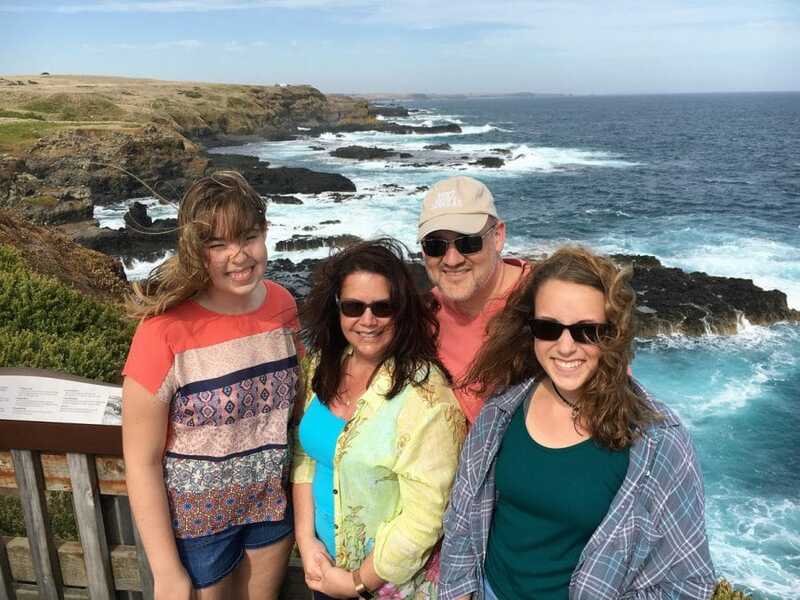 It also has helped our family grow even closer going through this experience together, and has taught us all perseverance and patience as we work through the new and unknown challenges of expat life. Lisa: This move has revealed the entirely different expat lifestyle. The challenges of living abroad have made us stronger and definitely has changed us, mostly likely in many more ways than we realize at the moment. Lauren: Living abroad has changed my perspective on the world completely. It has shown me that even though we all come from different countries with different languages, we all have things in common. Kirsten: Living abroad has helped me to be more open-minded and take in different cultures and new experiences. It is an amazing experience that I wouldn’t exchange for the world.